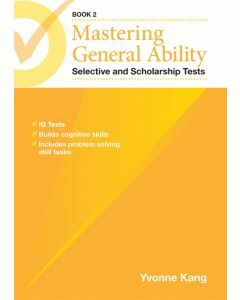 Mastering General Ability Selective and Scholarship Tests Book 1 by Yvonne Kang, Publisher: Five Senses, 2017. 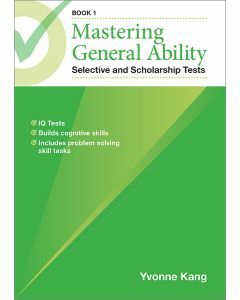 Mastering General Ability Selective and Scholarship Tests Book 2 by Yvonne Kang, Publisher: Five Senses, 2017. 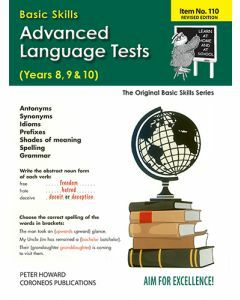 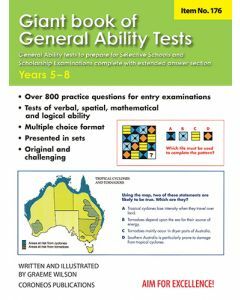 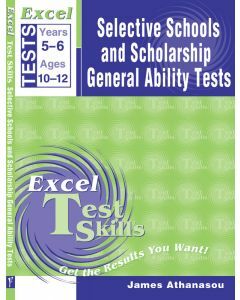 Giant book of General Ability Tests Years 5-8 by Graeme Wilson, Publisher: Coroneos Publications, 2008. 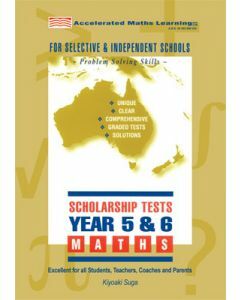 Selective Schools & Scholarship Tests Skills & Strategies Years 5-6 by John Moir, 2004, Pascal Press. 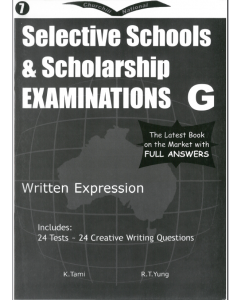 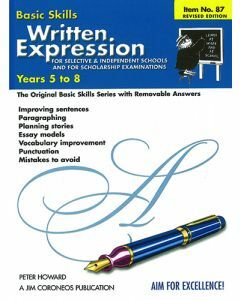 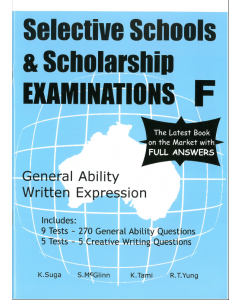 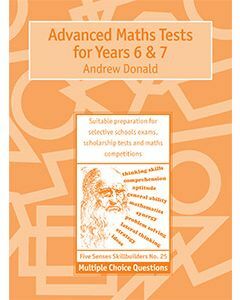 Selective Schools and Scholarship Writing Tests Years 5–6 by Alan Horsfield, 2004, Pascal Press. 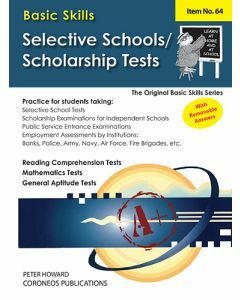 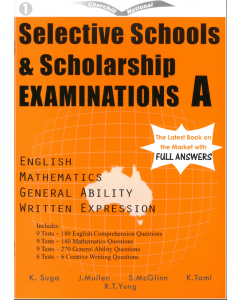 Selective Schools and Scholarship Tests by James Athanasou, 2002, Pascal Press. 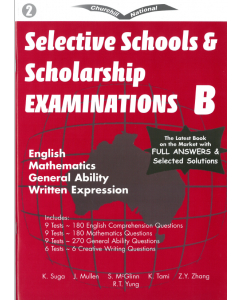 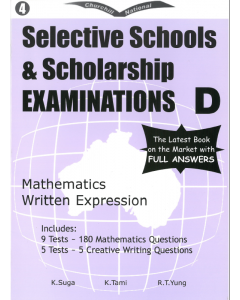 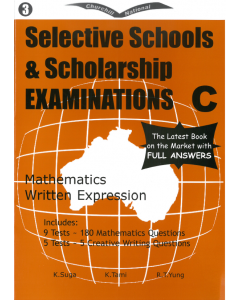 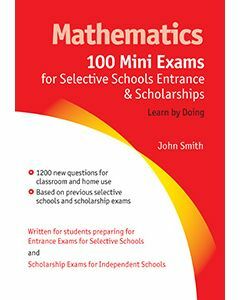 100 mini exams for selective schools entrance and scholarships by John Smith, Publisher: Smith Mathematics, 2000. 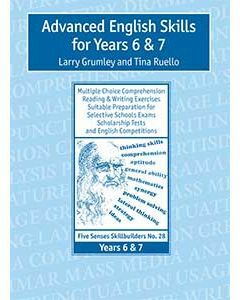 Advanced English Skills for Years 6 & 7 by Larry Grumley and Tina Ruello. 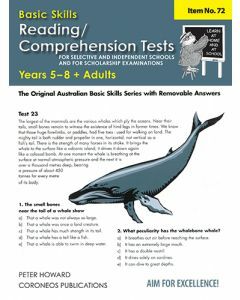 Five Senses Education, 1998. 86 pages : illustrations ; 28 cm. 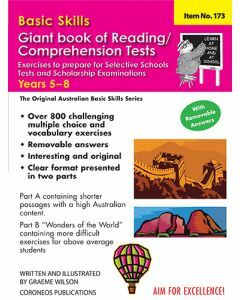 Advanced Reading Comprehension Tests Yrs 8 to 10 by Peter Howard. 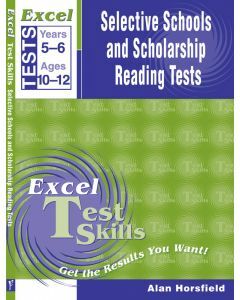 Publisher: Jim Coroneos, 1998. 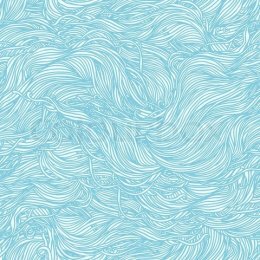 59 p. : ill. ; 28 cm. 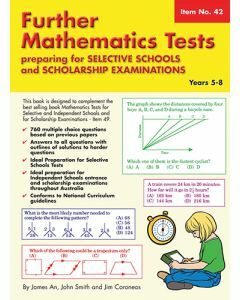 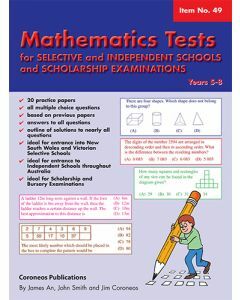 Further Mathematics Tests for Selective Schools and Scholarship Examinations Year 5-8 by James An, John Smith and Jim Coroneos, Publisher: Coroneos Publications, 1994. 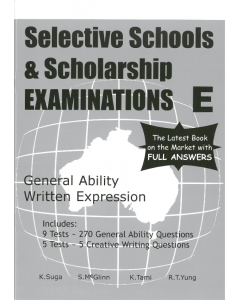 Written Expression for Selective & Scholarship exams by Peter Howard, 1993. 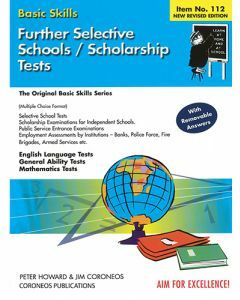 Coroneos Publications. 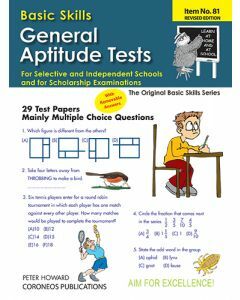 General Aptitude Tests for Selective Yrs 5 to 8 by Peter Howard. 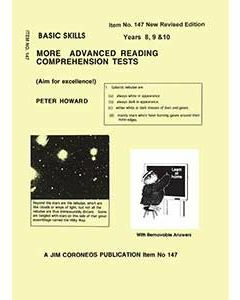 Jim Coroneos Publication, 1992 1 v. (various pagings) : ill. ; 30 cm.